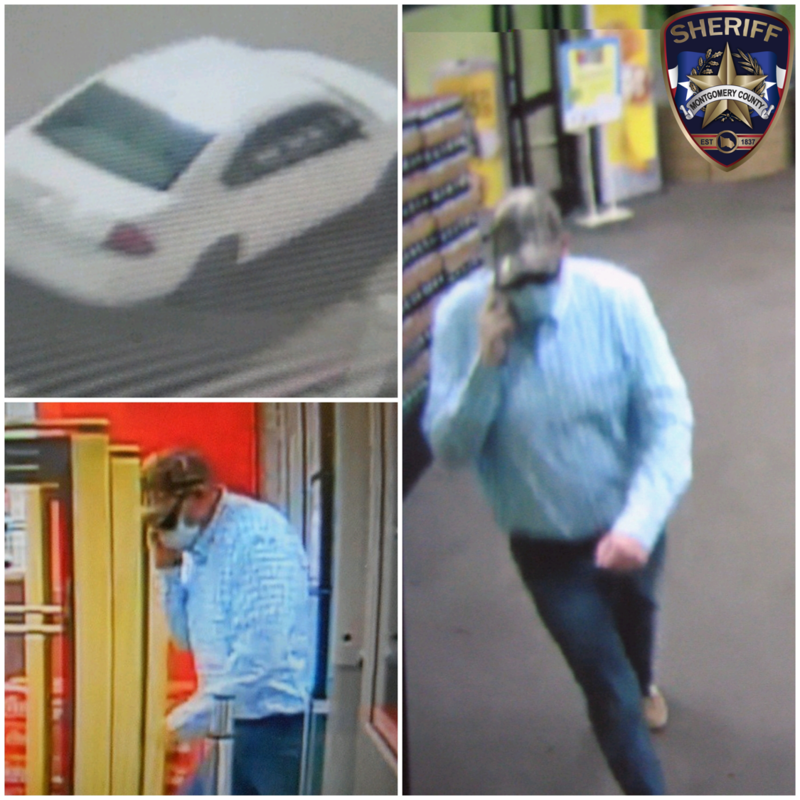 On August 9, 2018, at about 8:50 pm, Montgomery County Sheriff’s Deputies were dispatched to the Walgreens located at 24917 FM 1314, Porter, TX in reference to a robbery. While on scene, Deputies learned of another Robbery involving the same suspect occurring about 30 minutes prior at the Kroger Pharmacy located at 22030 Market Place Dr, New Caney, TX. During the ensuing investigations, Deputies learned that the suspect entered the Walgreens and the Kroger and provided a note demanding medications to pharmacy employees. At the Walgreens Robbery, the suspect informed employees that he had a gun and placed his hand in his waistband, which lead the employee to believe the suspect had a gun. The employees provided the suspect with the medications and he left. At the Kroger robbery, Deputies learned the employee refused to give the suspect the medications so the suspect left. The two robberies happened within thirty minutes of each other and the suspect is described as a white male in his 50’s, approximately 6 feet tall, and last seen wearing a camo hat, blue long sleeve shirt, and blue jeans The suspect concealed his face with a hospital mask and parked his vehicle in front of the entry doors. The suspect vehicle is described at a white Chevrolet Malibu sedan with steel black factory wheels. If anyone recognizes this suspect or know anything about these crimes please contact the Montgomery County Sheriff’s Office at 936-760-5800 or Crime Stoppers at 1-800-392-STOP (7867) and refer to case# 18A224590 and 18A224583.